True Christian Fellowship: Part 1 (Philippians 1:1–11) | Joe Quatrone, Jr.
Posted on August 20, 2014	by Pastor Joe Quatrone, Jr.
That word “fellowship” seems to mean many things to many different people. Like a worn coin, it’s losing its true impression, so we had better take some steps to rescue it. After all, a good Bible word like fellowship needs to stay in circulation as long as possible. True Christian fellowship is much deeper than sharing coffee and pie, or even enjoying a golf game together. Too often what we think is “fellowship” is really only acquaintanceship or friendship. Christian fellowship is much more than having a name on a church roll or being present at a meeting. For it is possible to be close to people physically and miles away from them spiritually. The word fellowship simply means “to have in common.” We have a tendency to use the word very loosely these days. Any gathering of Christians in which there is a feeling of happiness and camaraderie is called fellowship. We have almost made the word synonymous with good food and a few laughs. But that, of course, makes Christian fellowship no different from what unbelievers often enjoy. Paul’s fellowship with the Philippians was more than merely enjoying each other’s company. It was a partnership. People who by nature had nothing in common found a common life in Christ. Think again of Paul’s ministry in Philippi. Lydia the slave girl and the jailer had nothing in common until they come to Christ (Acts 16). The gospel of Christ made them partakers of the same life and partners in the same cause. One of the sources of Christian joy is the fellowship believers have in Jesus Christ. Paul was in Rome and his friends were miles away in Philippi, but their spiritual fellowship was real and satisfying. In Philippians 1:1–11, he describes true Christian fellowship in three ways. 1. Salvation is God’s work. 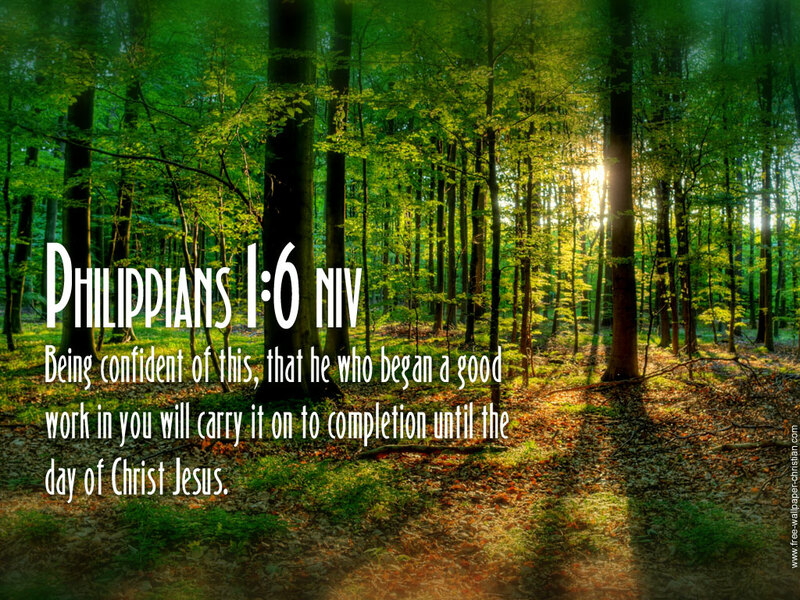 The Philippians did not begin the work of salvation in themselves only to have God come along and add a little to it. It was entirely His work. God provided the way of salvation through His Son, Jesus Christ, and He even enabled the Philippians to receive that salvation. 2. Salvation is a good work. Salvation lifts the sinner from eternal condemnation and ruin and makes that person part of God’s family, and a partaker of God’s eternal glory. Who would dare say this is not a good thing? 3. Salvation is a sure work. God does not begin it and then abandon it somewhere along the way. He does not pull His people from the flames of destruction only to allow them to slip back and be consumed. God completes the work of salvation. We know what it is to plan a work and undertake a work only to see it fail. But it is not so with God. We must not picture God the Father looking over the redeemed multitude in eternity and saying, “I did fairly well. Eighty per cent of the saved finally made it home.” God will not have to say such a thing because all His people will make it home. Not one will be missing! The faithful God will faithfully complete His work! We will not go astray if we apply these verses to the work of salvation and Christian living. We are not saved by our good works (Eph. 2:8–9). Salvation is the good work God does in us when we trust His Son. This work will continue until we see Christ and then the work will be fulfilled: “We shall be like Him, for we shall see Him as He is” (1 Jn. 3:2). It was a source of joy to Paul to know God was still working in the lives of his fellow-believers at Philippi. After all, this is the real basis for joyful Christian fellowship, to have God at work in our lives day by day. In Part 2, we will look at two more ways Paul describes true Christian fellowship. This entry was posted in Book of Philippians and tagged Apostle Paul, Bible, Brethren, Church, Fellowship, Jesus, Joy, Salvation. Bookmark the permalink. There’s a lot that can be reflected on with this study. Love the touching point of what true fellowship really should/needs to be in Christ. Answer: open to debate and therefore unimportant, can only create more “friction”. Cannot be found at The Home Depot, Ace Hardware, Lowes, Sherwin Williams etc. Must be sought after in earnest to be found. Must be asked for to be “given” but in some cases “Given” before asking (Mercy and Grace). Knock on the door and it shall be opened. Pingback: True Christian Fellowship: Part 2 (Philippians 1:1–11) | Pastor Joe Quatrone, Jr. I agree with you 100% Pastor Joe we cannot earn our Salvation but we will show we have it and not just when we die but now on earth. When we are Born again and perfected in Love we can be no other way, we have God’s seed, His Nature and we are to aim for the Crown of Righteousness and there is only one way. Do we have Christ Living in us……. Christian Love in our Unity in Christ Jesus -Anne. Pingback: Living in the Future Tense (Philippians 3:17–21) | Pastor Joe Quatrone, Jr.